This Saturday my baby boy Prince turned 2! You can see my post from his 1st Birthday HERE where I tell the story of how I got him and his background. He's grown up alot since then but he is still a mummy's boy who comes for snuggles every morning. 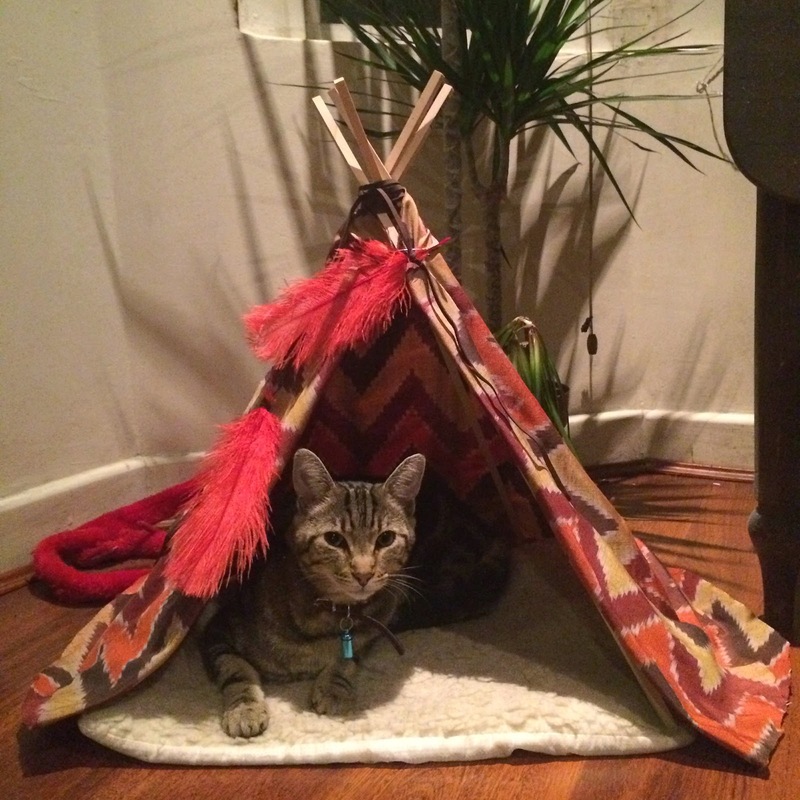 I bought him a few new toys and a special cat-meal and some treats but for so long now I've wanted a Cat Tipi. On the site I've linking there they are pretty expensive for me to get shipped aswell as buying the product so I decided to build my own! and a cat pad that he likes to lay on for the base. I then draped the cut fabric around and safety pinned the fabric at the top where the two ends met. I then tied the leftover leather around a couple feathers. I then put the cat pad under the tipi so Prince now has his own little tent! Hope you had a great weekend, I did an amazing, personal challenge and climbed a mountain! I will do a post on it very soon as the experience was incredible and super spiritual! This is literally the most awesome thing I have ever seen in my life, I think I may try and make one for my two! Otter and Butterfly Sanctuary Visit Pt 2. Chambray Shirt Dress - outfit post. Miss Patisserie - A Bathers Dream. Peach Punch - New Hair. Acid Wash Neon Rose - outfit post.